Being Refactored | Thoughts on being remade, writing, and relationships… and then some! Writer’s block. The two dreaded little words that every writer loathes, yet can also relate to. Sometimes it can last a couple minutes, a couple hours, or even a couple days. In my case, it’s lasted the better part of two years, maybe even closer to three. In my defense (as a writer! ), I had purposefully taken a break from working on books for a while, mostly for my life to settle down after a lengthy divorce process, to renovate my home, and to refocus on my kids. In looking back over the last few years, there were many changes at many different levels and numerous adjustments that required patience, flexibility, and many sacrifices of time, energy, and focus. But while I had stopped working specifically on books, I had continued writing extensively through blogging and journalling, as well as reading much more often and deepening my relationship with God. Over the last year, however, there many were times when I would pick up my latest (and possibly never-ending) story “Fountains of the Deep”, look over my notes, and settle in to start writing again. I’d have my coffee ready and my writing-spot perfect, place my fingers on the keyboard, and then… nothing. Zero. Zip. Nada. You see, while the plot of the story may have been there, the “heart” of the story and the inspiration needed for it simply wasn’t. Even a well-plotted story without a heart isn’t much of a story at all, at least not really one worth reading. I tried blogging for awhile to keep myself writing, but even that has waned for the last year. 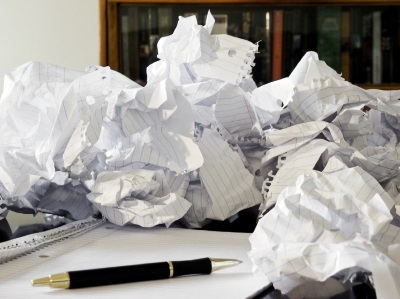 One of the dirty little secrets about writing books today is that for all the time, effort, and concentration it requires, most authors (in my experience) get very little out of it other than the self-satisfaction of seeing their work in print or on Amazon. Most books get lost in the avalanche of new ones that are published every year, particularly now with self-publishing. The royalty-rates are better, but there are far less royalties because of cheap (and free) book promotions on Amazon. Readers are more selective and leave fewer reviews. Since 2010, the self-publishing market has exploded, yet revenue has steadily dried up because of the volume and promos. The definition of what a “successful” writer looks like has become more and more nebulous. As I considered the efforts in finishing the book in relation to its returns, my writer’s block only seemed to grow worse. And while “Fountains of the Deep” will be my 20th book since 2008, I don’t feel like much of a success as a writer. 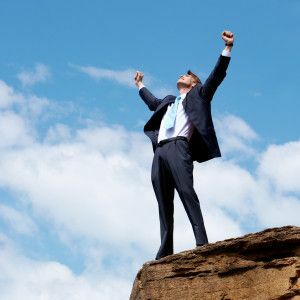 There was an article from Desiring God a few months ago by Vaneetha Rendall Risner called “Do You Wish You Had Accomplished More?” about the difference between successfulness and fruitfulness that really hit home with me. The takeaway idea I had initially gleaned from the article was that “God wants us to be fruitful, not successful.” The primary quote was from Mother Theresa: “God did not call me to be successful; he called me to be faithful.” And while the quote and most of the article was about pursuing faithfulness rather than success, for whatever reason my brain interpreted that as fruitfulness instead of faithfulness. After all, as Christians, if we’re really being faithful, then we should be fruitful, right? (Thank you, James.) Sometimes that’s true, but often not — faithfulness doesn’t guarantee fruitfulness. There’s only One Person in this vast universe that can accurately measure both faithfulness and fruitfulness, and neither one looks like how most of us define successfulness. God wants us to be faithful and fruitful, not successful. While the Desiring God article used John the Baptist as the main example of being faithful in the eyes of God yet a failure in the eyes of the world, Noah and Jeremiah are two similar examples that I tend to lean more towards. Noah ministered for possibly hundreds of years about repentance and the end of the world (as they knew it), yet his only “fruit” was the saving of his family and preserving of the various kinds that God had brought to him. Jeremiah’s “fruit” was even more negligible, having only won over one or two others during the course of his fifty-five year ministry. His ministry continued going from bad to worse, and he lost everything he loved. In fact, it seems like the more faithful and fruitful people become in the Bible, the less successful they become to the world. Yet in the end, they are the ones who bear the most and longest-lasting fruit. Ironic, isn’t it? And while the difference between being successful and fruitful at first glance may not seem all that significant, it actually changes EVERYTHING, or at least it has for me. Rather than be concerned with creating the right characters, plots, eye-catching covers, snappy promos/marketing campaigns, and the downloads of my books (i.e., being successful), this new perspective has freed me to be able to write, blog, or journal to my heart’s content — or simply not write at all — to read or pray instead and not worry about it (being faithful AND fruitful). Since embracing an attitude of “fruitfulness rather than successfulness” over the last several months, my own personal never-ending story (“Fountains of the Deep”) has been much more enjoyable and is actually flowing much better. The long dry-spell of writer’s block has been lifting. The characters are richer and the story is starting to write itself, rather than being silent (or worse, kicking and screaming!). When I bang my head against the dreaded writer’s block, that’s okay — maybe that’s God’s way of telling me it’s time to take a little break rather than worry about it and keep bruising my head against the wall. Maybe He’s telling me it’s time to pray, journal, read, take a walk, or simply do nothing. Rest and enjoy Him. As I’ve been writing again, I’ve been thinking more about my disappointments over the lack of success of my books and all the effort involved, and remembering what a waste of time it felt like. Looking back, I think that was indicative of how my focus had been dramatically misdirected, towards making extra money and achieving my own measure of success rather than writing because I really enjoyed it and leaving the results to God instead of my own efforts. Instead of writing for pride, fame, royalties or even myself, I should have been writing for the Lord and doing my best to ignore those things. In the end, it only really matters what He thinks, doesn’t it? Even if I write every day for the rest of my life and no one else ever reads a single word of any of it, my joy and satisfaction and even my rewards will be the same: that He is pleased with me. Whatever we do, God wants us to do with heart, joy, and liberty, rather than with staleness, grumbling, and obligation. Of course, there will be times where we have to do things that aren’t all that pleasant or enjoyable, but that’s part of life I suppose. Whatever we do, God wants us to do with faithfulness and fruitfulness in mind, rather than with fame or fortune. Anyway, it’s nice to get up ridiculously early and walk to Starbucks in the mornings and be creative again — and actually enjoy it. It’s been said that the only true constant in this universe is change. In our day and age of ever-increasing knowledge and information, that proverb seems truer today than ever before. Everywhere we look today, change is practically inescapable; we can’t really even slow it down, let alone attempt to stop it. In fact, the only elements that never seem to change are God and Truth. Inside the organization I work for (GPS software applications), we’ve been undergoing a great deal of change lately. (In all honesty, it’s been the better part of the last two years, but that still counts as “lately”!) The old, slow, inflexible product is going away and is being replaced by the new, spry, blazing-fast latest-and-greatest. To add to the mix, several long-time employees have left recently and/or are being replaced by new ones, and at times it seems that everything is up in the air…changing. Our priorities seem to be changing not only day-by-day at times, but hour-by-hour. Build this, fix that, oops — put out that fire; lather, rinse, repeat! In the midst of all these changes and ever-shifting priorities occurring at my office, there are plenty of new opportunities and responsibilities. As one of the more senior members of the team, a new responsibility that’s recently been added to my plate is that of mentoring. Often it comes about in the form of training and assisting other team members about how something works, how to do this or that in our very complex system, or where to find a particular piece of code that they’re trying to hunt down and how it works. However, the other form of mentoring that requires more pragmatism and effort is in training others who are new to the system and our development processes. Generally speaking, the more complex a system is, the more training and/or mentoring that’s required to bring someone up to speed. And our system is rather complex (to say the least!). To add to the mix, I’m fortunate enough to be sitting on both sides of the mentoring fence at the same time. While mentoring others new to things that I’m quite familiar with, I’m simultaneously being mentored in other areas that I don’t really have a clue about. It seems that specialization is both a blessing and a curse! Being mentored has been a rather humbling experience for me at times because familiarity breeds contempt — and pride. It’s only when I’m exposed to something radically different than what I’m familiar with do I realize that I’m not nearly as smart as I thought. Also, I’m more of a “git-r-dun!” guy with most development tasks instead of a “big-picture” guy who likes to step back and understand all the various pieces and how they all work together (or should work together) before jumping in with both feet. One approach is faster yet more short-term while the other is slower and more long-term. Since we’ve practically been in fire-fighting mode for nearly the last two years, it’s not always easy to carve out time for mentoring and passing on skills to others; it’s often much easier (and faster!) to just do things yourself. However, that’s a recipe for disaster, particularly when time and resources are stretched thin enough as it is. In a growing organization, it seems the most important element is growing the leadership base and diversifying skill-sets rather than simply getting things done. Yet growing leadership and skill-sets doesn’t usually contribute to the bottom-line of producing and delivering new features faster (at least on paper). 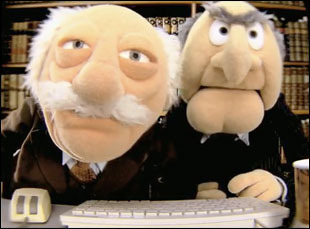 That means we’re somewhat forced to be somewhat sneaky about how we grow and diversify our skills: pair-programming. Pair-programming is where two developers tackle a feature/task instead of simultaneously working on two (or more) separately. While it may seem inefficient at first (two developers doing the work of one), we tend to get more done faster and with higher quality than we would otherwise. Developers tend to have different skills and talents and we often end up learning from each other almost by proximity, particularly when the pressure’s on and the deadline was yesterday (or last week!). We also often pair up when one developer needs to come up to speed with a new part of the system that the other is familiar with, which naturally leads mentoring. While everyone may agree that a mentoring environment fosters creativity and ingenuity, it’s still often an uphill battle to create that type of environment and then maintain it over time. As I’m learning to mentor others, I’m finding that I look to my own mentors and consider their approach and then try to emulate them as best I can. Our tech-lead who’s been the go-to guy for the last couple years is probably the one I look up to the most in this area. He often pushes and prods us into doing the right thing — even though it may take much longer — when often we just want it to be over with so we can get back to doing the next task on the board. He HATES duplicated code because it’s bad design, indicative of short-cuts and sloppiness, and often makes it his mission (and therefore ours) to rip out as much of it as possible. He consistently returns to software fundamentals and principles such as Separation of Concerns, Single Responsibility, Knows-About/Least Knowledge, etc. When I observe him designing or explaining something, it’s rare that those three elements aren’t involved right from the beginning. Not only does mentoring help those who are being mentored, it helps those doing the mentoring. In learning new technologies and patterns, mentoring helps reinforce whatever is being taught. With all the new open-source frameworks and patterns, whatever isn’t used is quickly lost. In fact, I’m finding that I retain new skills and technology longer and have a deeper, more fundamental understanding when I’m passing on that knowledge or concepts to another. Though using those skills often helps, there’s no substitute for teaching and explaining them to someone else. The “Learn, Use, Teach, Repeat” and “See one, Do one, Teach one” principles for both learning and mentoring have been a great way to make sure new skills aren’t lost soon after whatever task I’m working on is completed. In “Learn, Do, Teach, Lead”, the “Learn” phase is where knowledge or a skill is acquired, which moves directly into the “Do” phase. Often it’s rather easy to understand the abstract concepts of something new, but until the “Do” action occurs, much of it’s still quite conceptual rather than practical. The “Do” phase is where the rubber meets the road and where the “Learn” phase is reinforced and retained. Once the “Do” phase occurs, it’s best to then move into the “Teach” phase to reinforce both the “Learn” phase and the “Do” phase. 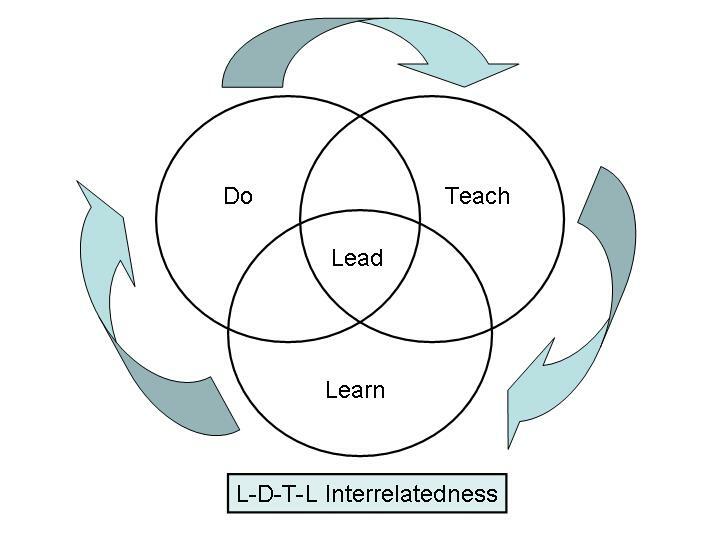 At the intersection of all three phases is “Lead” — and the more often the cycle is repeated, the stronger the “Lead” intersection of the diagram grows. However, this cycle shouldn’t just happen once, but frequently repeated, with new skills and concepts continually being acquired, put to practical use, and then taught and retaught. In apprenticeship/journeymen roles and also parenting, this cycle comes naturally, particularly with older children who often teach anything (and everything!) to their younger siblings. Curiously, modern classrooms tend to leave out the “Teach” phase, which causes information to not be retained for very long and also contributes to a lack of leadership skills. In my opinion, our shortage of leaders and teachers is directly correlated to the lack of the “Teach” step in many of our educational institutions. The responsibility of both mentoring and being mentored is also a biblical principle, especially in the New Testament. For just over three years, Jesus mentored His disciples, eating, drinking, living, walking, teaching, and ministering with them. After He reappeared to them after His resurrection, He told them to go and do likewise, making disciples just as He had done with them. The Great Commission isn’t one of merely preaching and proclaiming, but of teaching and mentoring — investing in others and training them in the ways of the God’s kingdom and how we should be loving and treating others here on earth. Throughout the New Testament, we are admonished to not only teach our children and lead our families, but pass on our knowledge of the Scriptures and God’s love to those around us. Who can we mentor today? Who can we be mentored by today? Who do we know that needs to hear of God’s love, grace, and mercy? Communicating your voice accurately and succinctly is one of the challenges of every writer, regardless of the intended audience and purpose of the material. Great writers are able to devise any type of voice they wish and one would think a completely different person were writing it. Poor writers end up sounding the same regardless of whether they’re writing a novel, a newspaper article, or a grocery list (ouch!). Not only do writers have to communicate with the voice they wish, they also need to pay attention to the tone with which their content is consumed by their target audience. With tone, emotion to the voice is communicated, along with style, rhythm, and meter. Writers are responsible for not only communicating their thoughts, but the mood and tone with which they want those thoughts to be heard. Writers must do all they can to ensure that their audience receives those thoughts, ideas, and moods accurately and as intended. With that said, a certain responsibility for how written material is processed does fall upon the audience. Something I’ve noticed is that the way we hear written words and the voice behind them is partially dependent upon us and whatever’s going on in our hearts and heads, particularly if it concerns something personal or matters of the heart. If I’m having a bad day, I may project those feelings onto something I’m reading and suddenly that may take on an ill tone and mood that was never intended by the writer. An article that would otherwise be very uplifting may be processed as being crass, annoying, or even accusatory. Regardless of the words, the same content may be heard very differently depending on the heart and ears of the listener. When we read a letter or an email (or even a text), what voice do we hear behind the words? For myself, I suppose it depends on your relationship with that person. It’s largely dependent on how well we know the person who wrote it and the voice with which they usually speak. We remember our shared experiences with that person (good and bad! ), and the voice we hear is often “heard” with those experiences and history in the back of our minds. But even then, our current moods may shape how their words are heard and processed at that particular time. When I write things of a personal nature, I always try to speak with a voice of gentleness, understanding, and compassion, because that’s who I am (or at least that’s who I hope I am!). But I’m afraid my words aren’t heard as intended sometimes. When I am upset about something, my sentences are shorter and far more blunt and candid, along with my tone being harsher. When I am serious or want to carefully articulate my thoughts, my sentences are longer and more descriptive, probably to the point of being horrible run-ons. When it comes to the Bible, how our current mood shapes our interpretation of what’s written is no different, except often more profound and pronounced. Also, how we hear the Scriptures largely depends on how well we know God and how we feel about Him — our personal relationship with the Author. If we feel that God is an angry, stern Judge Who’s quick-tempered and wrathful, we’ll hear the Scriptures completely differently than someone who views God as the perfect embodiment of patience, mercy, and love. Same God and same Book, but completely different to the hearer. When I was younger (ie, before twenty-nine), I never quite understood why people were encouraged to daily read the Bible. I mean, it’s just another book, right? Isn’t once or twice enough? Other books aren’t read over and over, so why should it be different for religious books except for memorization? As far as the Bible goes, the content hasn’t changed in 1900+ years and probably won’t be changing anytime soon, right? (Yes, I’m being facetious!). The reason why daily Bible reading is important is because of US – the readers. We’re encouraged to read the Scriptures daily because of what’s happening in our lives and our hearts and in those around us. While the Scriptures do not change (nor God), we as humans are embroiled in nearly constant change. What may just be little more than letters on a page in one minute may become the most profound, life-changing thing we’ve ever read the next. Sometimes this is the result of experiencing something traumatic or sometimes merely over the process of time. Either way, how we hear the same text may be completely different at different times in our daily lives, particularly as our relationship with God grows and matures. Whether intended to or not, at first glance the early chapters of Genesis – along with significant portions of the Old Testament seem to portray God as this angry, wrathful, distant Being. Such is the impression from those who do not know Him well or those who have an agenda, such as skeptics or critics. However, the more personal you become with God, the more His voice seems to change: it becomes softer, kinder, and more loving. As you draw closer to God in the whole context of Scripture – especially after studying the New Testament – that same angry God of wrath becomes a loving, gentle Father. What really changed with me as to how I heard God’s voice was after studying the book of John, the most personal of the four Gospels. Curiously, John begins his book with how “the Word became flesh and dwelt among us.” That’s rather profound when you stop and think about it; up until that point, no one had ever seen God and all we had was His Word. But after Jesus came, now we can see, hear, and touch the Word Himself — in the flesh. Jesus sets the tone for the entire book, not just the Scriptures that were written after He came. Jesus is THE embodiment of God’s Word and everything that goes with it. Because of God coming in the flesh, now we know with what mood and tone much of the rest of the Word is meant to be read and interpreted: with Jesus directly in the center. The rest of the New Testament confirms and reinforces the tone of His Word, and provides the voice with which we should read the entire Bible. With Jesus placed in the center, suddenly a holy, angry God of wrath becomes a holy, loving Father. Not only that, but Jesus goes so far as to say that He wants to be our friend. Think of that! God actually wants to be our F R I E N D!! That’s simply unimaginable in the whole of religions across the world throughout history, that God wants a personal, growing, intimate relationship with us! Consider how radically our interpretation of the Scriptures can change when we put Jesus – the Word Who Became Flesh – in the middle of them. Recall the first time man disobeyed God in the Garden of Eden. What does that scene look like if the character and person of Jesus is placed in the middle of it? Instead of this terrible lumbering giant stomping through the Garden bellowing “Where are you? !” after they sinned, I see this sorrowful, brokenhearted father seeking after his beloved children who were suddenly hiding from him. While His holiness is indeed conveyed in that passage, His wrath and anger are not. After all, He both clothed them “properly” and then protected them from partaking of the Tree of Life which would make their fallen state eternal and their redemption impossible. The same with Cain after he became angry and murdered his brother, and also with Job after he demanded an audience with the Almighty Himself. God could have poured out His wrath and holy anger upon them yet did not, though He did respond to their actions/demands. God is holy and just and owes us nothing, but does allow us to reap the consequences of our decisions, or as in Job’s case, allows bad things to happen to us. But even then, there is mercy, protection, and even tenderness to be found in Him. Even in the passages leading up to the Flood – when read with Jesus in mind – paint the picture of a brokenhearted Father who must uphold justice in the face of centuries of long-suffering and unspeakable violence and cruelty all over the earth. The God of Life withstood as much as He could as the earth was turned into a never-ending nightmare of violence and death. How much different would we hear the Scriptures if we read them with the ears with which God had intended them, with love and mercy and fellowship? Maybe that’s why Jesus repeatedly declares, “He who has ears to hear, let him hear!” How much closer would we draw to Him in His Word with His desire for friendship, fellowship, and a growing relationship with us in mind? How much more intimately would we walk with Him when we know that His great love and compassion for us drips off every page of His Word? At church, we’ve been going through a study called “Bridges”, a program designed to bridge the gap between Christians and Muslims. In a time when building walls seems to be all the rage, building bridges is the exact opposite strategy – and philosophy. While the class has been excellent, the downside is that in a church of over 1,000 people, less than ten are in the class. When the Gospel is spread, it is always through bridge-building, never wall-building. Generally speaking, Islamic cultures (particularly in the Middle East) tend to be rather closed and isolated, particularly for women. Muslim men are afforded many other rights and liberties in their cultures, but women often are not. However, due to a variety of reasons (wars, natural disasters, globalism, Internet, etc. ), the Islamic world is opening — whether it wishes to or not. In fact, it’s been estimated that more Muslims have heard the Gospel message within the last decade than in the previous 1400 years combined. The largest group of unreached people in the world today are those in Islamic cultures. Another program at church that’s building bridges into the Muslim/Arab world is ENGAGE, a church-building initiative that provides support to the Syrian refugees that have fled to nearby Lebanon. Many have lost everything and arrive with little more than the clothes on their back; to make matters worse, the refugees are restricted from finding normal employment due to their refugee status, yet many do not qualify for official UN refugee status. The men spend most days either seeking employment or laboring at slave-wages, while the women care for their children and try to acquire food, clothing, etc. for their families. Many of the uprooted children are reduced to begging or menial labor rather than education because of their status and their needs. Though their lives are no longer in immediate danger from warfare, bombs, and terrorism, many refugees are still simply trying to survive. The humanitarian needs in Syria and Lebanon today are very great – real, basic needs like clean water, food, medical treatment, shelter, clothing, and education. It’s been estimated that there are at least one million Syrian refugees (though the number is likely much greater) in just Beirut, which is more than 20% of the population. Yet the government is either unable or unwilling to provide assistance, particularly at the numbers which are flowing in. While there are several humanitarian groups (along with UN) providing assistance to the refugees, it still falls far short of their immediate needs. From the last trip-report from their missions-team in Beirut, the ENGAGE program is having a significant impact on the refugees in the city, though the need is far greater than the church can possibly support. Women and children are being clothed, fed, and assisted with finding shelter, younger children are being educated, and both women and men are being assisted with training and employment. As a result of the church’s initiatives and other humanitarian efforts, the Gospel is spreading the fastest among the refugees who have lost so much. Building bridges by meeting real human needs — loving others as God loves us — is working. The Gospel isn’t merely spiritual, but rubber-meets-the-road practical. The Gospel builds bridges — not walls — first between us and God, and then us with one another. People are natural wall-builders — it comes easily and naturally to us. We build physical, emotional, and spiritual walls to keep others out or even ourselves in. Often we do it for safety, privacy, and simple peace-of-mind. Physically speaking, walls of any sort can be thrown up quickly, easily, and cheaply. But bridge-building? That takes far more planning, effort, and patience than any wall ever will. Emotional and spiritual walls are no different; it’s far easier, safer, and more comfortable to shut others out than open up and be vulnerable. 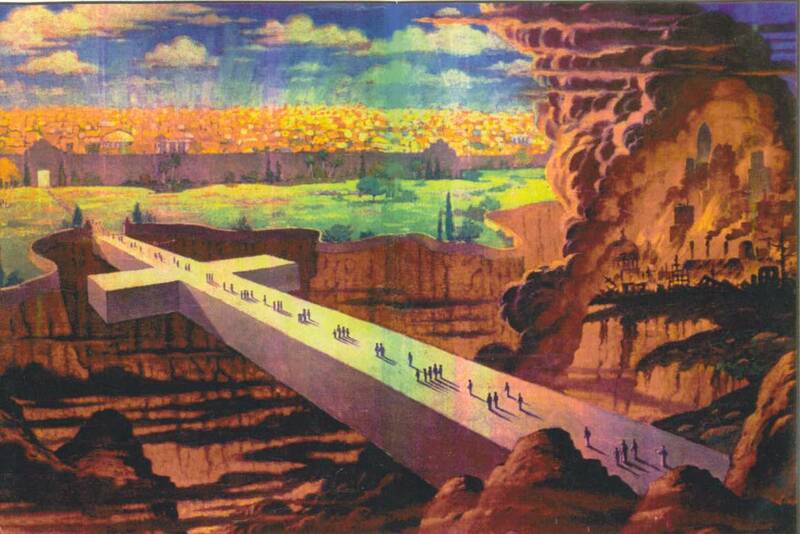 Yet walls rarely foster spiritual or emotional growth – but bridges do. I n contrast to us, God is a bridge-builder. From the Beginning, He has been creating, building, and giving of Himself. From even the moment of the Fall, He’s been reaching out to us and trying to bridge the gap between us and Him. It was He who sought after Adam and Eve after the Fall, not them — they ran and hid, but He sought and pursued. When God does put up walls (such as with the Temple and tabernacle), it’s to protect us from His holiness that would otherwise consume us. Throughout history, building bridges and restoring relationships has always been in His heart and actions, though it may not seem like it at times. Often, He initially divides in order to build and restore later – sometimes much later! Twenty years ago, a missions’ leader named Bob Sjogren spoke at church and provided several excellent insights to the heart of God and why Israel is so important to Him. It’s not that the Jewish people are better, smarter, or stronger than those around them, but that their fathers (Abraham, Isaac, and Jacob) followed Him by faith. Not only that, but why has the land of Israel itself been so important to God? And why does He even go so far as to refer to it “His land” throughout the Bible? Keep in mind that there’s really nothing particularly special about the land of Israel itself – except that it sits in the very center of the three major continents. Not only that, but the geography of Israel is such that the major trade-routes go through that tiny nation, and in fact, the ancient trade-routes would go straight through Jerusalem. And then just as now, the Temple Mount was the focus of Jerusalem. With the Church, it’s been almost the opposite: from the beginning, He told us to “Go!” but most of us do the opposite: we tend to stay put. In the early church, He would allow or even send persecution specifically to scatter the church abroad, first in Jerusalem and Judea, then Damascus and then to the ends of the earth. In our modern day, it’s been different since there’s little real persecution in the West, though the command to spread the Gospel still stands. Lately He’s been bringing the nations to America (arguably the world’s foremost Christian nation) through immigration, refugees, and the various crises around the globe. Yet many of us continue to resist what He’s doing: spreading the Gospel. Whatever excuses we come up with to not further His message and mission (intentional or not! ), His message will go forth, and He wants to use us to accomplish it. So with that in mind, what should we expect in the years ahead? More crises? More refugee and immigration struggles? More civil unrest and problems? More politization and polarization here at home? Probably — things have a way of getting worse before they get better. Yet His word will go forth regardless. In our day when we can easily go anywhere in the world but often won’t, perhaps He’s saying “Very well, if you won’t go out to proclaim my message, I’ll bring them to you!” Regardless of how badly we fail in His mission for us, His message of salvation will go forth to the nations just as He has promised. Another insight from both the Bridges class and a survey of global-missions today is that God is moving, particularly in the Muslim world. The largest unreached people-group in the world today are Muslims — over 1.2 billion men, women, and children — and growing fast. At least seven million have immigrated to America (a supposed Christian nation) yet remain unreached. 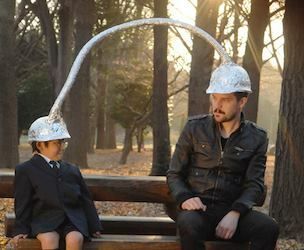 Sometimes He uses dreams and visions to reach the unreachable, but I think He would prefer to use His children to spread His message: us. There will be conflict, division, and problems, but those create opportunities to not only reach them with the love of God, but to reach us and mobilize us into action. 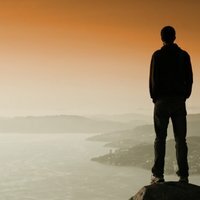 In these days, what does God expect of us? It’s very simple, really: love Him and love others the way we wish to be loved. Get out of our comfort-zones and get involved with what He’s doing, even when it’s tough. The 10/40 Window is open and growing, and the need for both humanitarian effort and the Gospel there is great (87% of the world’s poorest poorest people with nearly zero access to the Gospel or other Christian resources). Before His crucifixion, Jesus declared that the Gospel would be preached to all nations, tribes, and tongues as a witness to them before the End, which means that the 4 billion people in these 69 nations will one day be reached — and because of advances in technology, possibly within our lifetime! But the thing is, the Gospel isn’t spread with TV or Internet programs, big media schemes, or clever marketing; it’s spread by one person loving another and caring enough about them to share their personal relationship with God. As Christians, we’re all called to make disciples of Jesus; it’s not merely a call given to those destined for the mission-field, it’s for all of us. Discipleship takes time, energy, and effort – it’s about building bridges and relationships, not simply dropping pamphlets all over the place. Brick by brick, line by line, here a little there a little, His Church is being built all across the world. Person by person, friendship by friendship, the Word is spread and His Family is built. We’re called to build bridges with our neighbors, whether they’re just next door or on the other side of the world. This week in Israel, the nation observed “Yom HaShoah” (Holocaust Remembrance Day) to remember the 6+ million Jews (as well as the 6+ million others) who were murdered in the Holocaust. On Yom HaShoah, loud sirens ring out throughout the nation and everyone immediately stops whatever they’re doing (driving, walking, shopping, praying – everything), rises to their feet, and stands perfectly still until the sirens cease (about one minute). Except for the wind, birds, and dogs, the entire land falls silent. Next week, Israel will observe “Yom HaZikaron” (Memorial Day) and then the following day, “Yom HaAtzmaut” (Independence Day). They intentionally link the two holidays together because without the sacrifices of their countrymen, they would have no independence. When Israel first became a nation again in 1948, they were immediately attacked by their five Arab neighbors, as well as those from within their own country – yet they not only survived, but thrived despite the overwhelming odds against them. In fact, one of best proofs that the God of the Bible is real and sovereign is in the survival of the Jewish people throughout countless waves of persecution over the millennia. If any group of people in the world could be justified in being bitter towards others (particularly their neighbors), it should be the Jews – yet curiously they as a whole are not, or at least it’s not typically reflected in their temperament and policies. Of course, there is still some racism, but it’s incomparable to what’s around them. Arabs are granted full citizenship rights in Israel, full representation, and their holidays are respected despite dwelling in a predominantly Jewish state. In contrast, most of their Arab neighbors treat Jews as second-class citizens, do not recognize their holidays, and even refuse to recognize Israel as an official nation. The difference in attitudes between Israel and their neighbors – if not much of the world – is rather remarkable, both at the national level and the individual level. Though the Arab nations are blessed with an abundance of oil resources and great wealth, much of their land remains undeveloped, their education system is severely lacking, and their people remain in poverty. In contrast, Israel has few natural resources yet their education system is excellent, their economy is vibrant, and their welfare system is generous – especially towards immigrants and refugees. Why the stark difference between the two ancient peoples? For the Jews, it goes back to their roots and their character as a people and what they’ve endured over the last 2,700 years. It goes back to them frequently being persecuted, losing everything, and having to start over from scratch when the odds are stacked against them. When a people is forced to endure the unimaginable, they learn how to survive and find creative ways to cope and even thrive. In Israel, the unofficial philosophy is “tikkun olam”, which means “to repair what is broken” and in a more practical sense, “repairing the world”. During the Diaspora when Jewish settlers began to return to the land, they found arid deserts, malaria-filled swamps, and little freshwater. The Promised Land was anything but – yet they believed it still was, particularly given their faith in the Book. With those promises and that dream in mind, they set out to heal the land and restore what had been destroyed and neglected, and the idea of “tikkun olam” took root in their new culture. 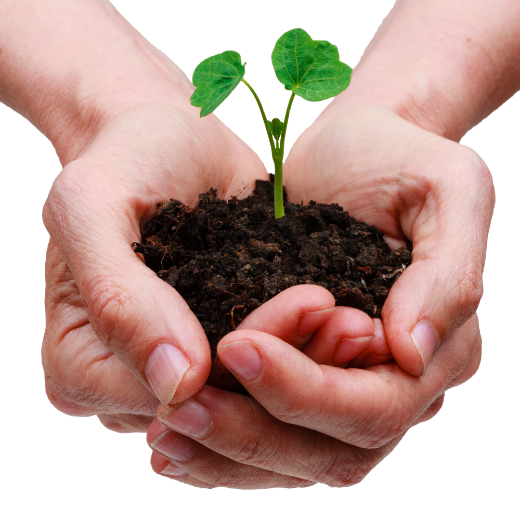 What does tikkun olam look like in practical terms? In Israel, it means planting hundreds of thousands of trees to reforest a barren land. It means draining swamps and providing clean water and irrigation. It means devising innovative solutions to solve real-world problems. It means turning arid deserts into land that can be used to grow agricultural products from figs to wheat to flowers to citrus. It even means raising fish in the desert! It means providing food, medicine, and education to those in need. It means assimilating millions of refugees and immigrants from all over the world. It means doing something good and useful with what little you have. Is tikkun olam confined only to Israel for their own benefit? Hardly — Israeli companies and entrepreneurs frequently reach far outside their borders to spread their technology and innovation abroad. In the past, they were forced to do so because of the Arab embargo placed upon Israeli goods by their immediate neighbors, so in order to survive and grow, Israeli companies had to market their goods to Europe, America, and Asia. But as a result of those obstacles and challenges, this tiny nation became a global exporter of technology, clean-water solutions, and agricultural products. Yet while tikkun olam may seem relatively new, it’s a concept woven throughout the Bible, from the first page to the last. However, we typically know it by a different term: redemption. From before the Fall in the Garden of Eden, God’s plan of redemption was in mind: to repair all that was broken in humanity and Creation. Ultimately, He will restore the relationship between us and Himself that we as a race chose to break long ago. From this 2,700 year-old passage, the settlers and founders of Israel set out to literally make the “desert bloom” despite its absurdity. And while the passage predominantly speaks of the incredible changes that the Messiah will bring to the land when He comes, the settlers didn’t sit back and wait for that to happen – they rolled up their sleeves and set to turn that dream into a reality. And through their hard work and sacrifice, Israel is being a blessing to the rest of the world (Genesis 12:3, 22:16-18), even though they didn’t consciously set out to accomplish that. They simply set out to restore a small piece of land, got to work, and God has done the rest, multiplying their efforts in ways they could not imagine. Isn’t that the way with how God often works in us? Though He could instantly change the world or empower us to change it, He doesn’t (at least not yet). He plants a dream in us and assures us of His promises through His Word, yet leaves much of the hard work up to us. It’s up to us to roll up our sleeves, get our hands dirty, and drain those swamps, plant those trees, and build those houses. It’s up to us to work hard, use the resources He’s given us, and find creative ways to solve real problems. Glory and honor always follow hardship or even suffering, and rest always follows labor. How has Israel repaired their land? Day by day, bit by bit, and little by little but being persistent over time. By a handful of people believing in something and setting out to accomplish it – and mobilizing others to do likewise – they are rebuilding their land. By believing and not losing heart, by persisting even though they keep getting knocked down, by pressing on and sacrificing their immediate comforts for their children and grandchildren. In only a handful of decades, the ancient ruins have rebuilt, the deserts are blooming, and Israel has become a blessing to the rest of the world. Like Israel, we were blessed to be a blessing, a light to shine in the darkness. How can we use the gifts that God has given us? What can we do today to help repair our world and the world of those around us? How can we make those dreams He has planted in us become real – even as absurd as some of them may seem? How can we use the time He has given us, even if it seems rather short or insignificant? Growing up in the Midwest, we watched a lot of television in the winter, even though we only got three channels (four, if you count PBS, which we never did). 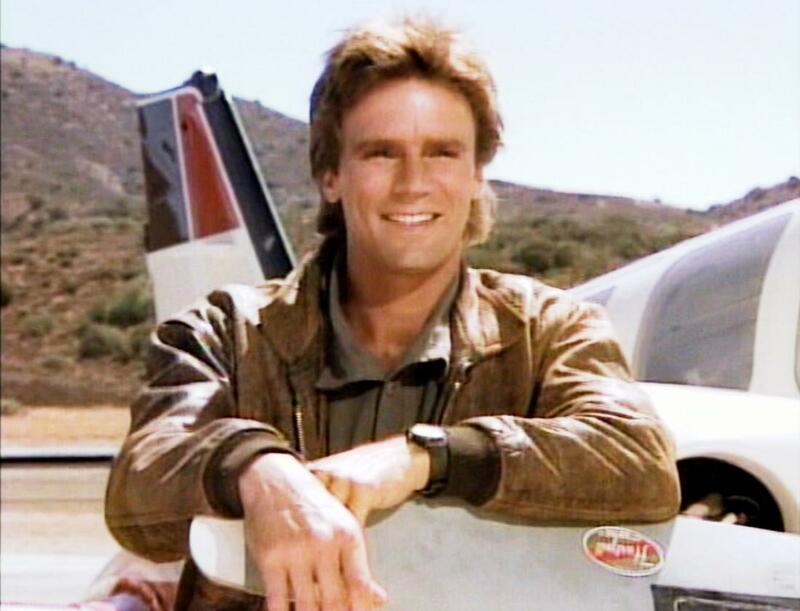 My favorite show growing up was “MacGyver”, remember him? (And no, the new “reboot” doesn’t count.) MacGyver was the guy who could be locked in a basement and somehow improvise a rocket-launcher with an empty toilet-paper roll, duct-tape, baking-soda, and a couple of ball-bearings. Not only that, but he was one of those people who could fix just about anything with whatever he found laying around. In college, I knew a real-life MacGyver named James, this long-haired pot-smoking cammo-jacket-n-army-boots-wearing hipster who could fix and build just about anything. But from his resume and appearance, you’d never know that he’s probably one of the smartest people you’ll ever encounter — and without a college-degree. I’m good at fixing things — well, some things. I can fix most code problems I encounter relatively well, even if those fixes are marked with “// ugly, dirty HACK!” Most code is pretty logical and once one understands what it’s supposed to do (as opposed to what it does), it’s usually not that difficult to figure out what’s wrong and start making fixes. When it comes to working on my car or stuff around the house, I do alright but can get a little sloppy (sorry, kids!). Admittedly, after awhile I tend to get impatient and start to justify that all the time and effort I’m putting in could be much better spent elsewhere. Then I just patch things up to a tolerable state and say “Good enough!” or (as in the case with cars) bring in an “expert” and pull out the checkbook. Over the last several months, I’ve been fixing up my house — not to sell or rent out (thank goodness! ), but for myself and my kids. Literally every room has been combed through and everything fixed/replaced, patched, updated, and repainted. I guess I’m becoming more like one of the guys from Fixer-Upper than MacGyver these days. We’ve been in the house for nearly sixteen years and never really made more than minor repairs, not even repainting. The house was brand-new when we bought it, and we didn’t really notice the wear-n-tear until about five years ago. My excuse in delaying many of the repairs and updates was, “As long as the kids are young, everything’s a cluttered mess, and we have all these pets running around, it’s a losing battle that can wait for another day.” But now that day is finally here, and it’s been a long row to hoe. My poor house must feel like I’m giving it a root canal or something! While I’m decent at fixing code and odds-n-ends, when it comes to relationships, I’m afraid it’s a different story. Fixing broken relationships isn’t nearly as easy as fixing code, my house, or even my car. My pride often deceives me into thinking I know how someone else feels, thinks, and might react, but in the end all I’m really doing is making guesses because I can’t see the entire picture, much less actually understand it. Heck, I don’t even know how I feel, think, and might react half the time, so how can I possibly understand how someone completely different from myself might feel, think, and react? But my pride — that stubborn old pride blinds me and fools me into thinking otherwise just about every time. Sometimes despite how much I try to fix things, they only seem to make it worse. With my house, I can always spackle, patch, or even cut out the broken piece and replace it. If I do it well enough, no one can tell that anything was even broken in the first place (especially after a fresh coat or two of paint!). With code, it’s even easier; when I royally foul things up at the office, I can always revert my changes and all the mistakes I’ve made are instantly wiped away, as if they’ve never occurred at all; the only thing I’ve lost is time and effort (and coffee). But with people and relationships, it’s never nearly that simple — ever. There is no “Undo” button when it comes to people because we have hearts and memories and feelings, code doesn’t. Sadly, no matter how much we would like to see some friendships restored, sometimes there just isn’t any good way to fix them. As a Mr. Fix-it Guy, it’s very difficult for me to NOT try to fix things, particularly something important. Whenever I see something that’s broken or not right, I want to drop whatever I’m doing and go fix it. How is it I can fix my house, car, or a complex piece of code yet be completely unable to fix a relationship that’s important to me? Again, perhaps it’s a pride-thing, as if my head and heart think, “I can fix most other things, so I should be able to fix this too!” But the thing is, before you can fix something, you first need to know how that thing is supposed to work, and not just that part individually, but how it works within the rest of the system. Then you need to discern how it was broken in the first place so you can make the correct repairs and so the breakage doesn’t reoccur (or make the damage even worse!). You need to be able to understand all the different pieces and know how they all should be working together, how and when this part should be moving and interacting in accordance with the rest of the system. When I step back and attempt to do a “root-cause analysis” on a relationship that’s been damaged, I almost always find that some sort of faithlessness (unbelief, lack of trust, etc.) is involved, which hampers friendship, communication, empathy, and even love. Sometimes this occurs between my relationship with God, but more often (and much more tangibly) with other people. As I chew on my failures in this area, I find that in my pride, I make assumptions about what the other person is likely feeling or thinking and then I do or say something foolish or even hurtful based upon that misinformation, and a downward spiral of action-reaction begins. Assumptions are never reality; at best they’re guesses, and at worst they’re falsehoods, yet both are rooted in misguided pride. And sooner or later, that pride-trip ends, reality hits hard and results in me being humbled and often filled with deep regret. If I apply the same principles to fixing a broken relationship as I do with a broken piece of code or a wall in my house, I realize that I’ll always fall short of being able to fix things on my own. Perhaps it’s not even my place to fix some relationships, at least not completely and fully because I simply don’t have enough knowledge, insight, and understanding into what’s really needed. Perhaps it’s also a matter of perspective because with things I’m fixing, I’m operating from the outside, while with relationships I’m operating from within. With code, I can fire up a debugger and step through everything line-by-line to completely understand what’s happening, but I can’t do that with a head or heart. When it comes to another person, most of my words or actions will be based upon my best-guesses unless I’m able to fully communicate with the other person and fully, totally empathize with them from the inside. At this point, all I can really do is step back, analyze where I messed up, and try not to make the same mistake again — or again and again and again. The good news in all this is that God knows — and He cares. God knows our relationships. He knows our hearts, our attitudes, and everything involved in them (Psalm 44:21, Romans 8:27). And not only does He know them, He specializes in fixing what’s broken. With His “Divine Debugger”, in His own time and His own way, He steps through our lives and hearts and examines us line-by-line to fix and rewrite anything that’s broken, fragile, or improper. Our Father delights in reconciliation — in broken marriages, damaged friendships, and any other relationship we royally foul up in our pride and foolishness. Our Father smiles when someone finally comes to their senses and repents of their hurtful words and deeds. He rejoices over the prodigal, the rebel, and the backslider who repents and turns from their wicked ways. God is the Master Fixer-Upper and is the only one who can fully repair broken relationships because He’s the only one who can see all the different pieces of us and how we’re supposed to “work”. He’s the only one who knows all the different dynamics of how we came to be the way we are, who we really are inside, and how all those uptillion words, deeds, and experiences have shaped us and cause us to feel, speak, act, and react the way we do. He knows our tears and heartache and empathizes with our hurts; He counts our tears and stores them up for us (Psalm 56:8). God knows and He cares. So with that in mind, I’m learning (slowly, clumsily, and painfully), that there are just some things I cannot fix, and I need to accept that despite how much I would like to. I could have all the hopes and dreams in the world to fix whatever I’ve broken, but it’ll never happen without His working. I suppose it’s another piece of that whole “Leave it up to the Lord” thing that I frequently seem to struggle with. It’s not my place to fix everything — that’s God’s — mine is to be faithful, humble, patient, and trusting. It’s my responsibility to believe the best in another person, particularly someone I care about. It’s my responsibility to be quick to seek forgiveness and reconciliation despite my pride and arrogance. It’s my responsibility to trust and hope and love those who God has placed in my life and leave the rest up to Him. It’s my responsibility to love regardless. It’s absurdly simple yet incredibly challenging. Being faithful, believing the best in others, holding fast to what I know to be true, and refusing to fear when things seem to be spiraling downward — those are the things I should be doing rather than making bad assumptions and then acting on them as if I know more than I actually do. I should be patient, kind, gentle, or even long-suffering regardless of how I may be feeling. 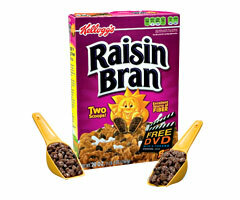 Disclaimer: this isn’t a post about Raisin Bran (though it would taste wonderful this morning! ), but about self-worth. It’s a subject that’s been bouncing around in the back of my mind for awhile, particularly recently. And honestly, the more I consider it, the more I realize that my own sense of self-worth has often been misplaced, probably for most of my life. Where do we typically get our sense of self-worth from? As a generalization, men tend to get their self-worth from their accomplishments, trophies (house, car, money, etc. ), and career; women tend to get their self-worth from relationships/family, home/living-space, and appearance. While none of those things are poor sources in and of themselves, the problem is that there will always be someone more intelligent, more attractive, more creative, wealthier, have a “better” family, be more accomplished, and more <fill in the blank> than you. If our self-worth is based up that (ie, ourselves), then sooner or later, it’ll likely be damaged (and sometimes dramatically). A couple weeks ago, I had to purchase a different vehicle, which was a rather unexpected surprise. Thankfully, I had a basic idea of what I was looking for and how much I was willing to pay, and the rest was matter of searching online (thanks Google!) and calling around. Needless to say, after buying the new car I’ve noticed that some people look at me a bit differently. All of a sudden, I seem to have more “worth” in their eyes, even though nothing other than my form of transportation has changed (ie, a trophy). True, I went from driving a badly hail-damaged older car held together with duct-tape (and bubble-gum!) to one that’s new and shiny and flawless. But behind that wheel, I’m still the same person I’ve always been, except how I’m perceived by others. My true worth has very little to do with what I drive, where I live, what clothes I wear, or how wealthy I am — but to this world it does. The phrase “Perception is everything” usually rules the day. Now that my life is finally settling down post-divorce, I’ve been reprocessing things a lot — maybe too much at times! It was about ten years ago that I began tinkering around with writing, and soon after I began producing books, being a writer became a big part of my identity, from which I drew my self-worth — trophies and accomplishments. That voice in my head would go something like, “I may not be all that smart, talented, wealthy, or tall/athletic, but I’m very disciplined, motivated, and I can crank out books like nobody’s business!” And I suppose I did, averaging 2-3 a year from 2008 to 2014. I could consistently sit down before and/or after work and plop down 1,200 words in an hour or two. Back then, my biggest fear was that my writing career was just a flash-in-the-pan — and if I stopped writing, who would I be then? A close cousin to self-worth is love, and the two often go hand-in-hand. If you regularly feel loved, your sense of self-worth will be greater than when you don’t. As I look back, I’ve come to realize that perhaps much of my motivation to pump out books was because deep down, that sense of feeling loved was missing or incomplete, so I subconsciously wrote to gain the respect of others. Men generally feel love through admiration and respect over something they’ve accomplished, while women feel love by — well, LOVE (and we think women are the complicated ones!). When making small-talk in the past, writing used to be one of the first things that would come up, but now I rarely mention it (if at all!). However, when many of those relationships evaporated in the divorce, I was broken and whatever sense of self-worth I had practically vanished; my accomplishments didn’t amount to a hill of beans. So from where should we draw our sense of self-worth that can’t evaporate, be repossessed, rust, or fade away? If there’s one lesson I’m learning over the last several years it’s that God is the ONLY solid, unchanging Person in this ever-changing universe. Now, it’s one thing to know this in your head but something much, much greater to know it in your heart. Perhaps that’s by His Divine Design, that everything around us is temporary, unsatisfying, and rather fleeting most times — utterly meaningless in the grand scheme of things. Solomon, the second-most wisest man to ever live, had much to say about this subject in Ecclesiastes. When self-worth evaporates, who else but God can meet those needs that are no longer available from our typical (and temporary) sources? The answers to all our deepest questions about self-worth can only be found in who we are in relation to God, the One who doesn’t change like the fallible and fickle people we all are and certainly not our stuff and accomplishments. It’s our identity before our Creator that really defines us and assures us that we are lovable and that we have intrinsic, eternal worth. It’s knowing and relying on the fact that God loves us more than we can ever know, and He loves us for who we are in Him, not for what we’ve done or what we have. Over and over in the Bible, He proclaims and proves His unfathomable love for us by going to utterly ridiculous lengths to have a deep, meaningful, and eternal relationship with us. The biggest hindrance to us drawing self-worth from God is our own doubts, unbelief, and lack of faith. Particularly if we’ve never been really, really loved by others, it’s very difficult to accept that even God can love us the way He designed us to be, that we truly have eternal, incredible self-worth in His eyes. When I was broken and my self-worth evaporated, I had to learn to rely on God to meet most of those needs that were no longer able to be met from my spouse and family — and it took a long time for me to learn to accept that I actually had worth after that huge relationship failure. It was only through soaking in the Psalms, His Word, books, and music that I finally began to accept who I was to Him and in Him. Again, heart-knowledge takes much longer and much more effort to learn and digest than head-knowledge. Perhaps instead of placing Him in the middle of the pack of our daily rat-race, He needs to be kept far, far ahead of everything else if we are to regularly draw true contentment and our sense of self-worth from Him — and be able to accept it. Maybe that’s why the Bible says that in whatever we do, do as to the Lord (Col 3:23). He needs to always be kept firmly in First Place in our hearts, lives, and thoughts if we are to feel fulfilled in the midst of life’s vanity and futility. Perhaps it’s when He’s pushed aside or to the back of the crowd that we start looking to others to fill those places in our lives that we turn inward — and then downward. Maybe it’s when we take our eyes off Him that we start to deeply question our true worth and quickly sink (remember Peter and his two-step walk on the water?). In going through this process of being remade, my motivation and drive to crank out books has diminished because maybe deep-down, I no longer need those things from which to draw self-worth from. Perhaps that’s why I no longer feel this burning drive to pour out countless words onto paper everyday or push myself to go on and on without sleep until a chapter or piece of code is done. Perhaps that’s why I no longer beat myself up if I haven’t made much headway on my latest work-in-progress, which has been dragging on for well-over a year now. Of course, I still love writing and coding, but I no longer need to do it in order to feel respected or “worthy”. When I write now, I write for the simple delight of expressing myself and my thoughts in the written word that may (or may not!) touch untold people years after I’m gone. When I write now, I write for the sheer joy it brings me, particularly when I’m writing about Him. We have worth because He made us, pure and simple. It’s not about us, what we’ve done, or what we have, but because of HIM. We are loved because He loved us from eternity past, within every moment of our lives today, and He will love us for all eternity future. He loves us through the good times, the bad times, the dull times, the lonely times, and even the evil/dark times. We are loved and lovable because He made us that way: to love and be loved, to know and be known. We are loved not because we are all that lovable in and of ourselves, but because He is love — it’s His very essence — and we are made in His image, flawed and broken as we may be. The very letters that comprise the root word for “love” in ancient Hebrew mean “the spirit/breath of the father (ahb)”, and much more. We are loved because He loves us with this furious, raging, unfathomable, almost-insane love — and He has proven it over and over throughout history, but most of all by sending His Son to take our punishment for our sins upon Himself. He loves us so much that He joyfully humbled Himself and took on human flesh, walked among us, and then suffered a horrible sacrificial death for us. We are loved fully, deeply, and completely because of Who HE is, not who we are or what we’ve done… The entire Story of Creation and Redemption is about Him, NOT us. We are loved because He is love and aside from His Son, we are the ultimate objects and reflections of that love. Our self-worth is completely wrapped up in and derived from His accomplishments, not ours. We are assured of His love and our inherent self-worth because not only He took our place on the cross, but He’s given us everlasting life and has made us joint heirs with Him (Romans 8). We are loved because He is the very essence of sacrificial, agape love (1 John 4:8). Love is His very nature (along with holiness and righteousness) and He is committed to remaking us in His image.